Today in business, digital storage, communication and transporting data across borders are the norm and we’re seeing an increase in regulation and compliance in various forms. Some mandatory, some optional but all demanding that you comply to some extent with a set of standards that too many companies tend to think of as a tedious, demanding, box-ticking exercise. One approach is to do the bare minimum to satisfy regulators, because of course you have a variety of audit regimes already in place, but not only is this how mistakes happen (mistakes that land you in increasingly hot water), it’s also how valuable opportunities are overlooked. Smarter companies go deeper and use compliance to improve processes in their organisations. There are many businesses demonstrating that it can be a real investment, with impressive cost and operational efficiencies to be achieved. With cyber-attacks rising in frequency and severity, companies all over the world are beginning to realise that compliance doesn’t equal security, particularly if you’re doing the bare minimum. It’s not just about being better organised. Firstly, clients know that their data is increasingly at risk so they are in turn, increasingly interested in how compliant their suppliers are. Being able to demonstrate taking on such a huge challenge as compliance will help you stand out from your competitors and instil a new confidence in both consumer and corporate customers. If you can talk to them openly and knowledgably about compliance issues, they’ll gain confidence in what you do and say going forward, increasing your value-add to their business and building trust and brand loyalty. You will appear impressively forward-thinking and ready for the fast-approaching next era of security. Secondly, compliance can also be used as a means of encouraging businesses to adopt best practice – in security, for instance – where the tendency may be to cut costs and corners. Plus, pushing for such developments will leave you looking rather business savvy. You’ll also have far fewer very expensive and time-consuming legal and regulatory issues and fees to deal with, and be less likely to experience a damaging security breach. With many data breaches caused by apathy or a lack of policy, compliance can be used to increase awareness of and attention to data protection requirements and practices for your whole staff. You should be tackling compliance holistically rather than seeing it as lots of individual boxes to be ticked. By embedding compliance in your IT processes and routine operations rather than treating it as a separate activity, you can create a much more sustainable long-term solution. 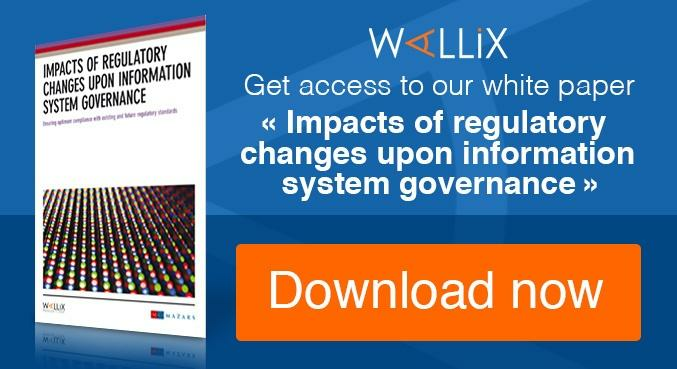 Redesigning your IT processes to address similarities and overlaps in regulations will not only help your business to achieve more efficient coverage of regulatory requirements, but also help avoid repeated efforts to deal with each one separately. It’s time to build compliance into your business process and strategy, and make it a part of your company’s culture. It’s baffling to us that some people seem to think of this ‘compliance as a business strategy’ idea as some sort of ‘regulation spin’. You only have to look at the history that’s led to compliance to appreciate that it is much more than just ‘red tape’. Such regulations typically result from industries’ inability to effectively deal with significant shortcomings in business practices. It’s about people’s safety, ultimately, and businesses that don’t play ball aren’t going to come out of it looking very good in the eyes of their peers and customers. So why not make the most of compliance? It’s certainly not going away, and those regulations are only going to increase in strictness. If you haven’t already, you need to start making it really work for you and your business. Compliance is a tool for improvement, not a drag to avoid until it’s time to contribute the bare minimum. It’s about ensuring greater transparency in the way that businesses operate and that proper and easily traceable audit trails are firmly in place. How can this not improve efficiency within your walls? The many benefits range from brand and reputation, revenue enhancement, asset protection, higher profitability and lower costs, improved workforce performance, the provision of better data for better-made business decisions, and allows for a total harmonisation of your systems. This sort of increased visibility of what’s happening at the activity level is good for senior management to see, too. 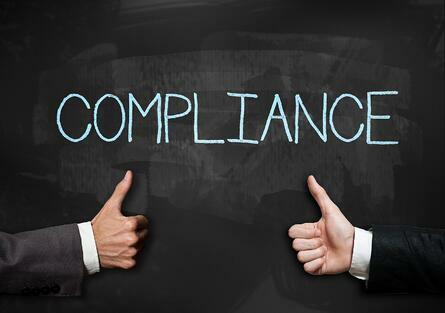 Compliance leads to rigour and good practice that can be turned into commercial advantage. You’ll start to ask questions you didn’t before and take positive steps you may not have thought of. It’s not debatable anymore – transparency is just good business. You’re in an ideal place right now. Have a positive attitude and approach regulatory programmes by looking at the opportunities rather than seeing them as an inconvenience and meddling with your practices – you’ll be setting the right tone and helping to show and convince others how shaking things up really can be a good thing. Follow us as we continue to report on how can help companies through the complexity of operational compliance.